For more than two decades, Target Restoration has served Mission Bend, TX’s home and business owners with our emergency disaster restoration services; repairing damaged homes and buildings efficiently after a disaster. Every one of our professionals is dedicated to restoring your property, giving you peace of mind in the aftermath of a difficult situation. In addition to being a Centurion Solutions Teams member, Target Restoration is also a member of TIPS and TAPS, a group in which each member must abide by specific regulations in order to help government facilities and commercial properties. Our professionals also operate under the HGACBuy contract. The contract offers disaster preparedness and recovery planning, support, and training. When combined, our technicians have over a century’s worth of experience working in the restoration industry. Additionally, our professionals have IICRC certifications, which require training in the classroom and on the job. We also employ professionals who operate with the title of “Master Fire and Water Restorer.” Such a position is reserved for technicians who have done training for a minimum of seven years. Knowing this, you can depend on our professionals, who are leaders in the industry, to conduct quality work with our services, thoroughly returning your home or business to its original condition. Aside from our training and work, we are members of our community and we are involved in a number of local organizations. We have a team that consists of military veterans, parents, husbands, wives, and children’s sports coaches. Target Restoration is also proud to have been involved with the following projects: Darnell Army Hospital, Fort Hood, H-E-B grocery stores, Baylor University, and Belton ISD. Our professionals have earned the following awards thanks to our quality work and customer service: 2015’s Best of Waco Award for Fire and Water Restoration, 2014’s Hot Choice Award for Home Restoration, and 2013’s Contractor Connection Gold Hammer. Call (713) 966-6064 for Target Restoration’s emergency disaster restoration services in Mission Bend, TX. The damage that flooding and excess water can cause leads to expensive repairs. Further damage will occur the longer the problem isn’t addressed. Mold growth can develop 24 hours following the damage, making it essential to call Target Restoration for our water damage restoration services in Mission Bend, TX. We employ technicians and Master Water Restorers who are all IICRC-certified. We will be immediate in our response, drying the structure and repairing building materials for a complete restoration. In addition, our professionals will contain the damage. 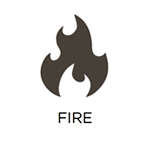 A fire’s flames are commonly misinterpreted to be the most damaging aspect of a fire, but, the most damaging aspect is the smoke and soot byproducts that the fire leaves behind. Fires and their byproducts often damage personal belongings, and such damage can become permanent if they don’t undergo professional cleaning. Target Restoration provides fire damage restoration services for fire-damaged properties in Mission Bend, TX. 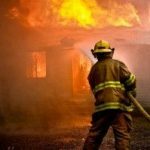 Our professionals are trained and experienced to restore the damage caused by fire and smoke to your property and personal belongings. We also work with your insurance company. Disasters can often result in mold growth, especially if there is flooding or excess moisture involved. This is because the excess water and moisture create the perfect conditions for mold spores to develop. Once it starts, mold can then grow on most household surfaces like cement and drywall. 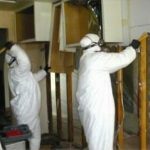 At Target Restoration, we employ professionals who are licensed and experienced to provide mold remediation. We tend to all cases of mold in residential and commercial properties in Mission Bend, TX. Our professionals will work to remove all mold from its source, dry the property’s structure, repair damaged building materials, and work to prevent mold spores from coming back. To finish the restoration, we use cleaning agents that remove remaining bacteria. Every natural disaster can damage properties so much that they are left in an unstable condition. The damage caused by most disasters can also get worse after the disaster has passed. 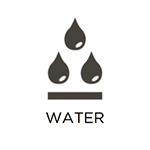 Building materials can absorb water and cause water damage. 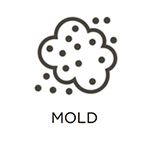 Mold can grow as a result of water damage, and fires leave smoke and soot behind. Regardless of what has damaged your property, call Target Restoration for the reconstruction services that we offer for homes and businesses in Mission Bend, TX. 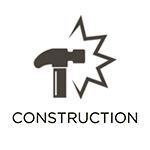 We employ professionals who have a lot of experience in construction work, such as project managing, electrical work, board-ups, carpentry, roof contracting, painting, and tarping. Our technicians will also work with your insurance provider during the claims process. 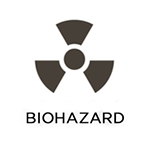 Biohazard can refer to numerous dangerous materials, because it’s a general term. It can include mold, sewage backups, and even blood and other bodily fluids. Regardless of what the biohazard material is, you need to keep your distance from it because of the bacteria and pathogens it contains. Knowing this, it is in your best interest to have professionals clean up the biohazard materials. Target Restoration can conduct the cleanup with the biohazard and trauma scene cleaning services that we provide on a 24/7 basis in Mission Bend, TX. We rid of all biohazard materials and eradicate the dangerous pathogens with advanced cleaning agents. We understand that families may be distressed in such a situation, so we will be compassionate with our work. Target Restoration can be reached for any of the aforementioned disaster restoration services by calling (713) 966-6064, and we will respond to you immediately.